Eye Laser Center Kubati is one of the most complete eye care facilities in Kosovo. 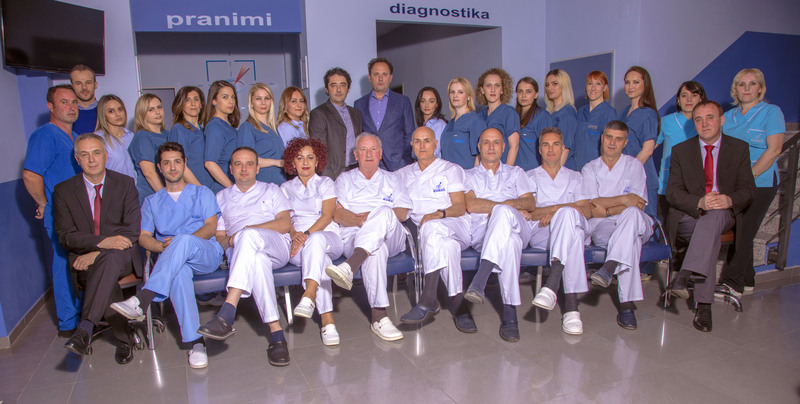 Our institution was found in 1990 in Prizren and in just few years the hard work and increased market demands lead to a bigger project in 2008 of establishing Eye Laser Center Kubati in Pishtina. While our hospital is in Prishtina we also have branches in Prizren and Peja in order to accommodate the market requirement with quality eye care services and a friendly staff. Today, over seven specialists and over thirty staff members provide complete eye care to patients from all over Kosovo and Region. Eye Laser Center Kubati takes pride in providing quality eye care to its patients. It provides eye care for, cataracts, glaucoma, age related macular degeneration, diabetic eye care, pediatric ophthalmology and comprehensive eye exams, various eye surgeries and procedures. In addition, our optical department has every kind of frame to fit your lifestyle and budget. We were the first in Kosovo to implant the artificial lens and the first Phaco surgery was made at our premises during 1996. We also were the first in the region to install one of the most reliable refractive surgery laser in the world market – “Wave Light Eye Q”. Eye Laser Center Kubati excels in application of the most sophisticated methods in diagnosis and utilizes the latest technology and treatments available. In order to provide our patients with quality and up to date services, the superior doctors and medical staff receives continuous professional development and training internationally and locally. This enabled us to offer our patients every day, high quality and quick solution for retina problems, having along us first two resident ophthalmologists in Kosovo with EU recognized vitreoretinal surgeon certificate. From routine exams to laser surgery to emergency eye care, the doctors and staff at the Eye Laser Center Kubati are dedicated to meeting all of your need and exceeding your expectations. We believe that every patient is an empowered consumer and we are proud to be leaders in Kosovar-Regional ophthalmology.